Hockey fans this one is for you! 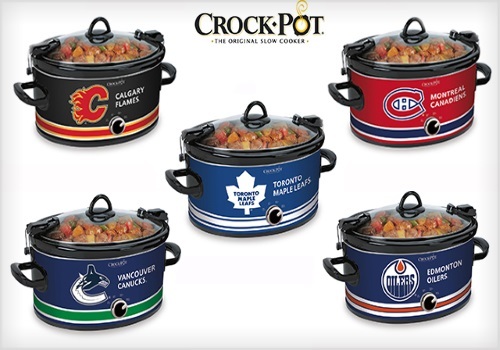 Get a Crock-Pot NHL 6-Quart Manual Cook & Carry Slow Cooker for only $38 ($56.49 value). You can choose from one of the following teams: Toronto Maple Leafs, Vancouver Canucks, Montreal Canadiens, Edmonton Oilers or Calgary Flames. After the deal closes, the product will ship automatically to the address indicated at checkout. Product will arrive within 2-3 weeks of deal closing date (March 22). Limit 5 voucher per person, may buy more as gifts. Does not include shipping ($11.95 extra charged at checkout).